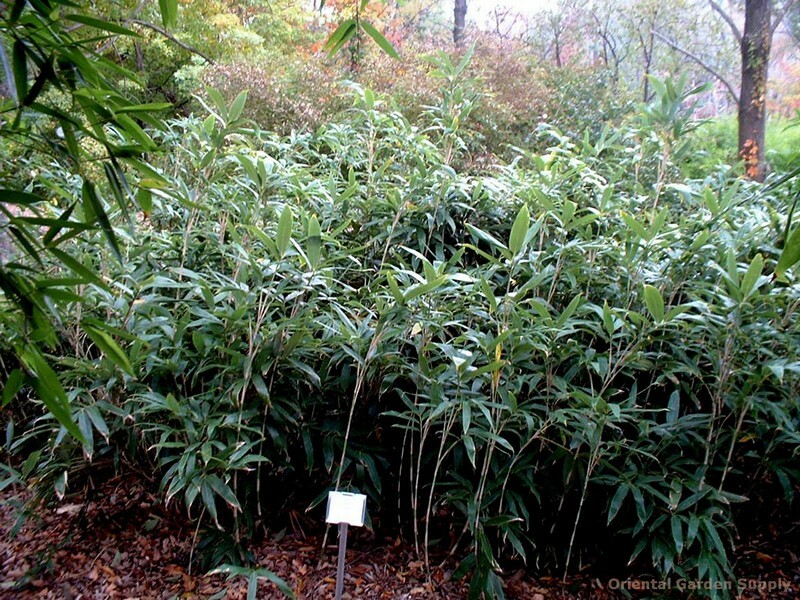 Product Information : This bamboo does well in pots, with thick leathery leaves up to 15in long and 2 1/2in wide. It grows taller in cooler climates and makes a good evergreen screen. Mature Size : 5'-7' x 1/2"